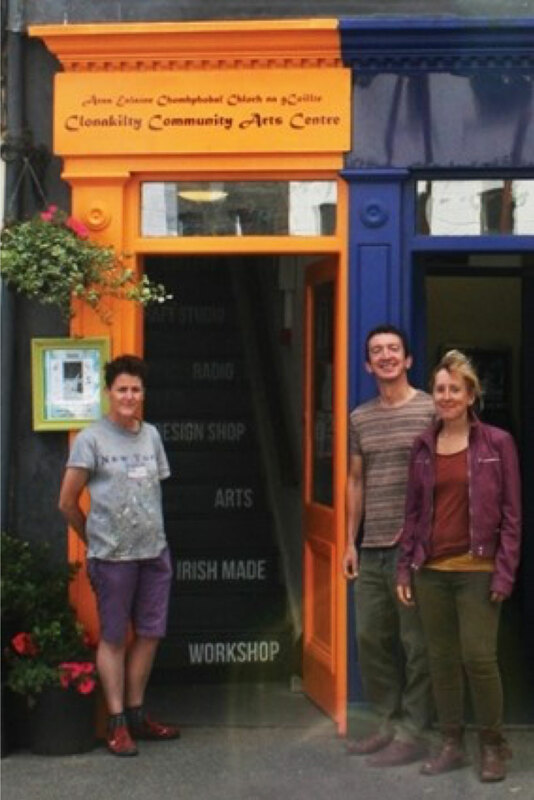 The Clonakilty Community Arts Centre is situated in Asna Square, right in the heart of town. It is a hub for artists of every style. It provides musicians with a place to practice and perform; painters can find studio space to work and gallery space to exhibit; actors and scriptwriters can find a space to rehearse and perform; those wishing to learn can find a wide range of art classes, music lessons and workshops. We also provide workspace for other arts groups in the town. For example, we are a key hub for the drama group Tadhg an Asna Players as well as for Geata Arts in the creation of their spectacular yearly Samhain parade.